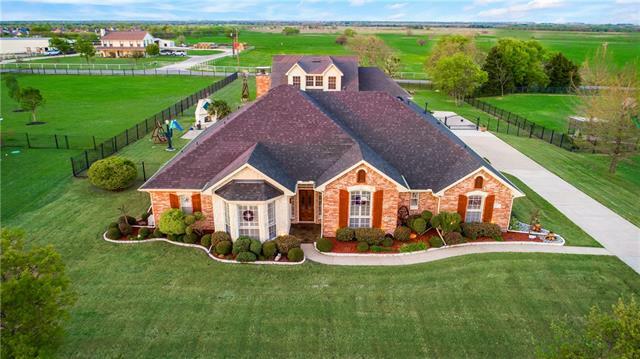 All Forney homes currently listed for sale in Forney as of 04/19/2019 are shown below. You can change the search criteria at any time by pressing the 'Change Search' button below. 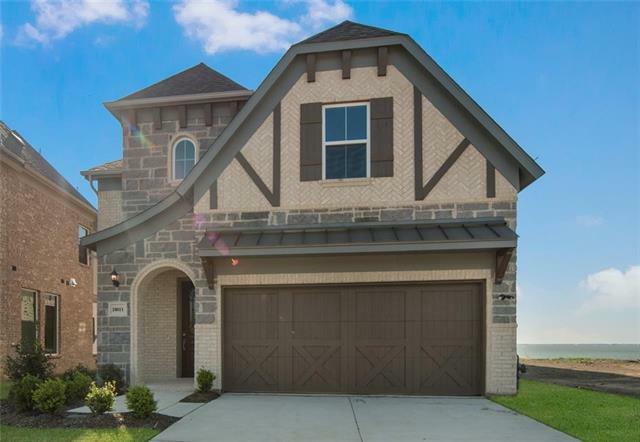 If you have any questions or you would like more information about any Forney homes for sale or other Forney real estate, please contact us and one of our knowledgeable Forney REALTORS® would be pleased to assist you. "22 miles E of Downtown Dallas. 550k under appraisal. Own apart of TV History filming shows Dallas & Walker Texas Ranger. Southern Cross Ranch features 82 acres,Beautifully designed Mediterranean estate surrounded by massive Live Oaks perched high on a ridge with breath taking views of the Dallas skyline, 2 Additional Guest Homes,Backyard retreat pool-spa,gazebo,newly resurfaced fully lit tennis court, Unique equestrian facility 4320sqft fully equipped 6 stalls,2 tack rooms, metal workshop 4000sq"
"Home on property but in great disrepair. Most value will come from residential or commercial development with property behind and to side. Residential development started in the area. This is first-time opportunity. Taxes will be different for new buyers. 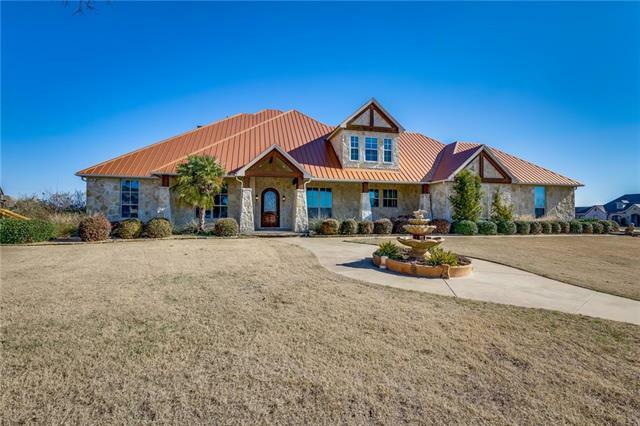 In Forney ETJ"
"This one of a kind property consist of three living quarters. Main home features 3 bedrooms and expansive living space, attached is mother in law quarters complete with 2 bedrooms, 2 baths, living, kitchen and study complete with private entry that could be rented as additional income as well as the seperate guest home. Kitchen features commercial grade Vulcan gas range & U-shaped island perfect for entertaining. 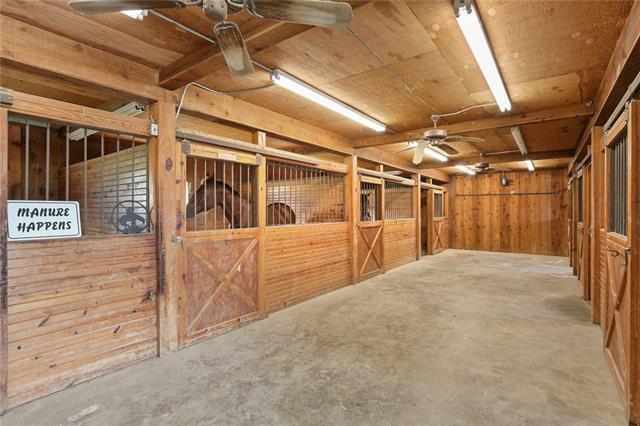 The private owner's retreat has access to the covered patio over looking the pon"
"Your own piece of paradise! 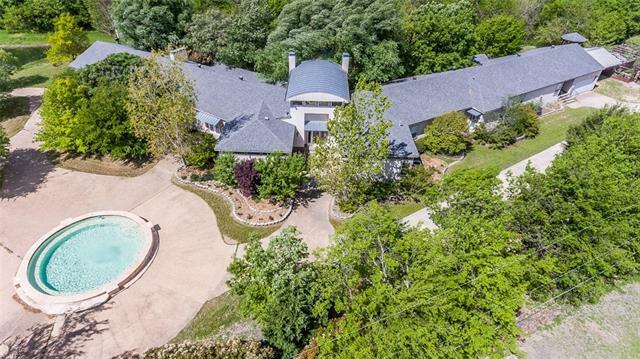 Enter this 1-acre estate through the circular driveway. This home wraps around the corner lot which provides incredible views. Handscraped wood floors,soaring ceilings & a spectacular staircase welcome you upon entering. Wall of windows invite the outdoors in. Master, study & ensuite guest suite on 1st floor. 2nd floor features an impressive 2nd Master with a steam shower & walk-in closets. Ensuite bedrooms upstairs! Discover tranquility: spectacular balconies overl"
"EXTRAORDINARY custom home built of natural stone with attention given to every detail. 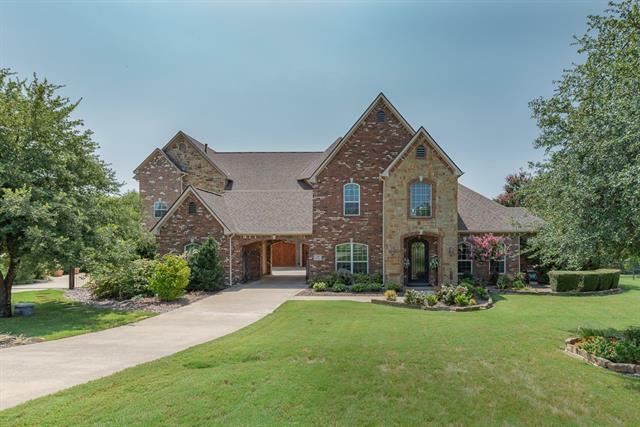 Hand scraped hardwoods, large crown moulding & baseboards, arched entries throughout. Spacious main living features stone fireplace, is open to kitchen & nook. Gourmet kitchen offers granite counters, Argentine Mesquite island top, Sub Zero fridge, 6 burner gas cooktop, double convection ovens, Bosch dishwasher. Luxurious master with tray ceiling, sitting area. 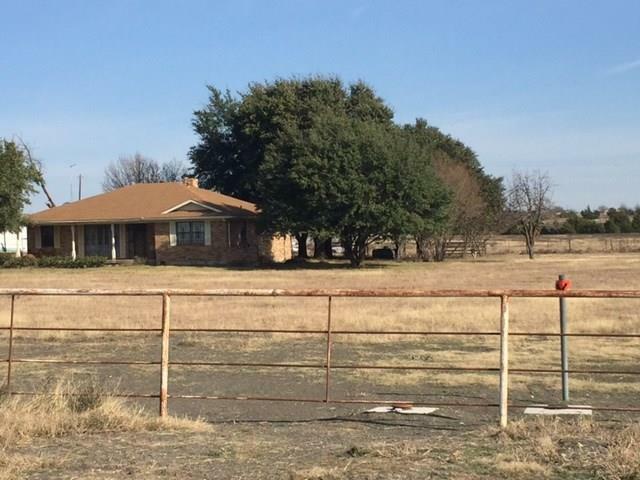 En suite bath has fireplace, separate vanities, w"
"Currently zoned Agricultural, in the city limits of Forney, this Gateway area property can be enjoyed by individual owner or could be purchased for other development such as 55 and over living, commercial or industrial usage. Contiguous acreage for sale. The latter would require zoning changes, but the city of Forney is open to discussion and application for change. The city of Forney has recently taken over road maintenance of 212. Lots of activity in popular Gateway area." "Magnificent home with nice saltwater pool, huge workshop, beautiful acreage, lush lawn, trees and landscaping ,extra RV-Boat parking. 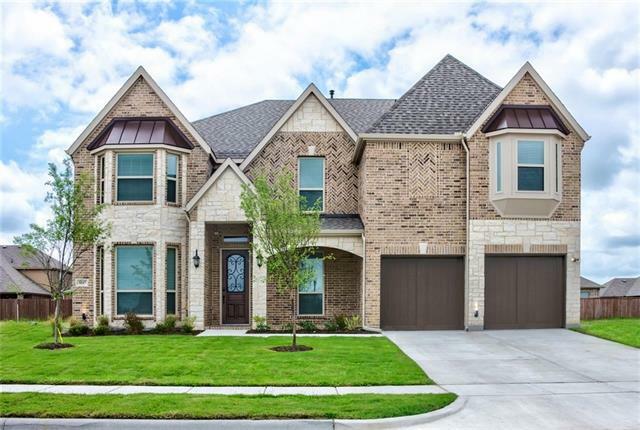 Home boasts an open concept of family, eating and kitchen with hdwd floors, plantation shutters ,crown molding, stone fireplace. Kitchen has granite counters, dbl convection ovens, island,beautiful cabinetry. Mst suite has sitting area with views of the pool. Upstairs has 2nd lvg with balcony, huge bdrms with oversized walk in closets. Gst qtrs with nice lvg area,"
"WOW! This property has it all. 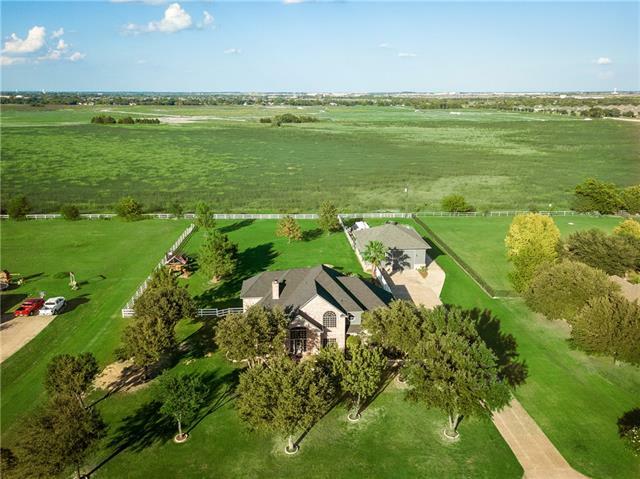 14+ acres of beautiful land with a stunning updated home, guest house, barn with stalls, pool, and more! You must see this property to appreciate what it has to offer. Fully fenced ready for horses or livestock. Secluded but yet just minutes away from the city of Forney and major highways.The main house has a very functional floor-plan with the master suite downstairs.Large kitchen with tons of cabinet space and custom touches.There are two upstairs wings that are "
"You'll enjoy waking up early in your opulent, private master retreat w-California Closets, Blue Mountain marble bath, steam shower, fireplace, and Juliet balcony overlooking gently rolling countryside. Descend the gently curved staircase in the turret to your well equipped kitchen w-granite and stainless appliances. But, you are not the only one that can enjoy this home.... There is plenty of room for everyone... a second master suite plus 3 more bedrooms, a media room, and a library. 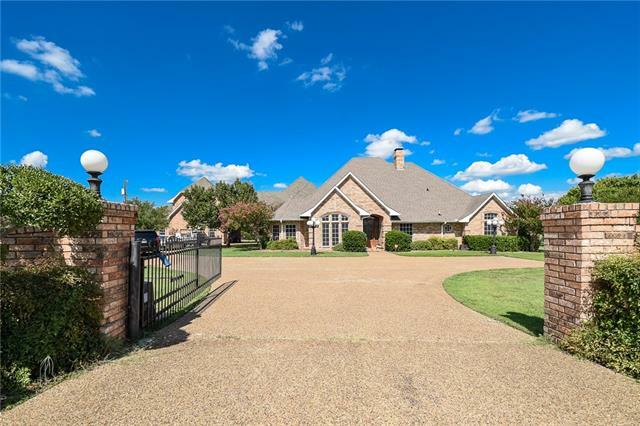 Quali"
"MLS# 14042494 - Built by Taylor Morrison - Ready Now! ~ The kitchen features a center island with a double sink and built-in bar. The dining area adjoins the open-concept family room, which provides access to the covered back patio. The master bedroom features a wall of windows to maximize natural light and offers access to the backyard through an optional patio door. Three additional bedrooms on the second level include their own full bathrooms and walk-in closets. A large game room provides ad"
"MLS# 14042474 - Built by Taylor Morrison - Ready Now! ~ The kitchen includes a center island with built-in bar and a double sink that overlooks the dining room. Just past the kitchen, the family room features a corner fireplace and a wall of windows overlooking the back patio. A guest suite on the main level provides the perfect retreat for visitors. Upstairs, the master suite offers great views of the backyard and plenty of storage space in the expansive walk-in closet. Two additional bedrooms "
"MLS# 14042550 - Built by Taylor Morrison - Ready Now! ~ The kitchen offers plenty of counterspace for preparing meals, including an island with a built-in double sink and room for bar seating. Nearby, the open-concept dining room overlooks the family room. The master bedroom is bathed in natural light thanks to a wall of windows, creating a relaxing retreat with all the comforts of home. The on-suite bath features a freestanding tub with a separate shower, his and hers sinks, and a private enclo"
"AMAZING 2 STORY HOME SITUATED ON 1.29 ACRES IN PRESTIGIOUS SHAMROCK RIDGE. INVITING LIVING ROOM WITH HARDWOOD FLOORS AND BRICK FIREPLACE. OPEN CONCEPT KITCHEN FEATURES SOLID SURFACE CORIAN COUNTER TOPS, WALK IN PANTRY, DBL OVEN, BUILT IN APPLIANCES & BREAKFAST BAR. POOL, HOT TUB & COVERED PATIO MAKES A PERFECT PLACE TO RELAX, UNWIND AND ENJOY YOUR EVENINGS. 3 CAR GARAGE & 28 X 28 DETACHED SHOP WITH FRONT CARPORT MAKES ADDITIONAL ROOM FOR VEHICLES AND STORAGE. REPLACED: HVAC & WATER HEATERS (2014"
"MLS# 14042498 - Built by Taylor Morrison - Ready Now! ~ The open-concept living area includes a dining room, kitchen, and a family room with a central fireplace and patio access. The adjacent guest suite is perfect for welcoming out-of-town guests. The master bedroom is situated on the second level, offering additional privacy and great views to the backyard. Two walls of windows in the game room provide a bright, inviting retreat just steps away from the second level s two additional bedrooms"
"SPECTACULAR CUSTOM 2388 SQ FT home & 1400 SQ FT 2 STORY GUEST HOUSE AND POOL. This AMAZING backyard is perfect for entertaining while enjoying the TEXAS shaped tanning ledge in the pool. Beautiful landscaping and stonework throughout the backyard. Slate tile on all patios. STONE FIREPLACE BY THE POOL. It's a BACKYARD OASIS!! The inside of the home is STUNNING with upgraded granite in the kitchen, double ovens, beautiful cabinetry, large pantry. PLANTATION SHUTTERS throughout the home. 4th bedroo"
"5+ ACRES SURROUNDED BY PRIME DEVELOPMENT. Be a part of the rapidly redeveloping action in Forney! Stunning undeveloped property outside of city limits. Make this location a beautiful residential site or commercial property. 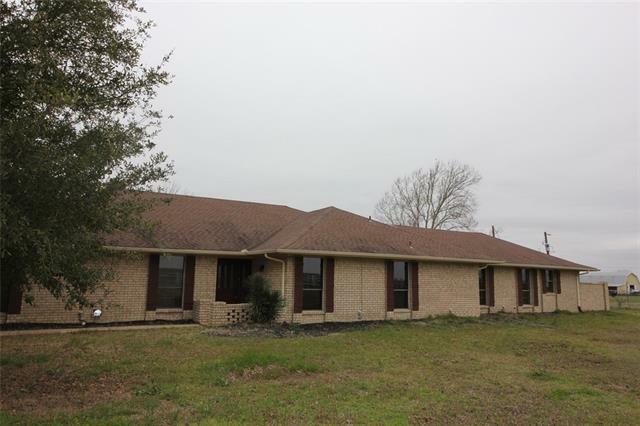 This property is not zoned and is a blank slate ready to be yours! House on property is being listed as no value." 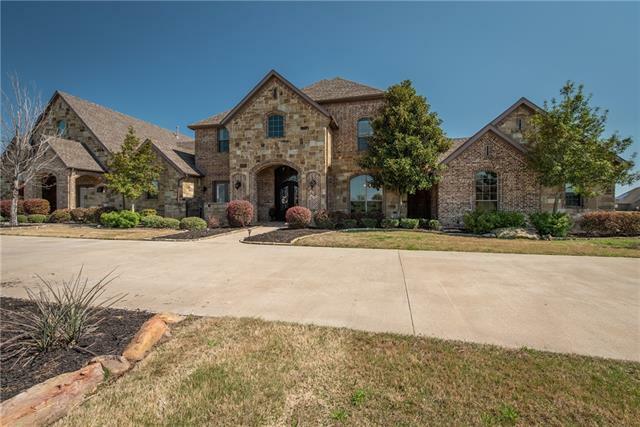 "Stunning home offers gorgeous open concept kitchen, granite countertops, all stainless steel appliances, decorative lighting opening up to spacious living room boasting tall vaulted ceilings, open bannisters from upstairs living, and beautiful gas log stone fireplace. 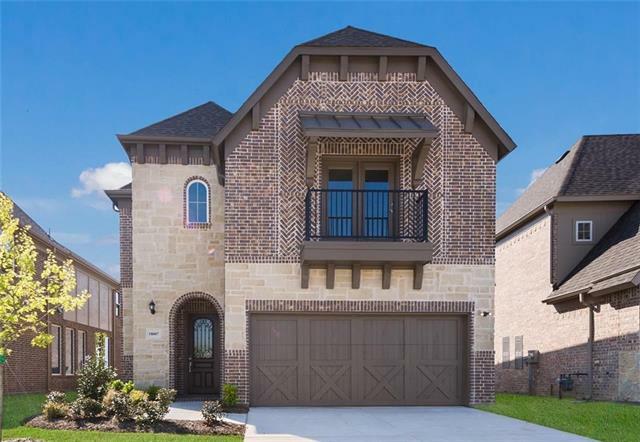 Large master suite, custom closet system with access to laundry room! Spacious secondary bedrooms, loft area upstairs, separate office downstairs with rich built in cabinetry. 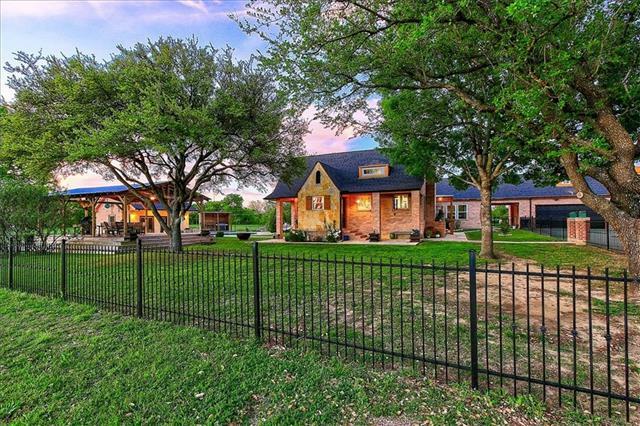 Outdoors you will find a sparkling in ground pool and p"
"MLS# 14044454 - Built by First Texas Homes - June completion! ~ Corner lot, walking distance to community pool!. 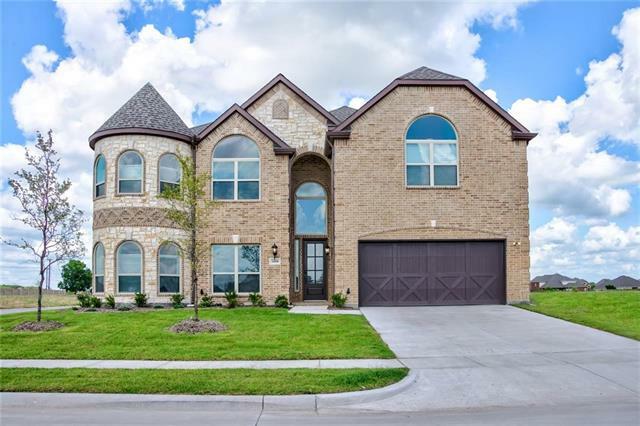 Extensive wood flooring throughout, SS appliances, butler's pantry, pot filler. 2 MASTER CLOSETS!!!! This is a must see!!" 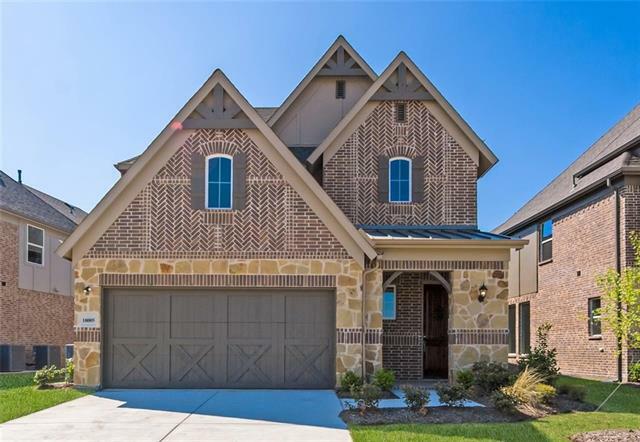 "MLS# 14044465 - Built by First Texas Homes - June completion! ~ Elegant 'castle' style elevation!. Formal living and dining room, with a kitchen to fall in love with! Double ovens, butler's pantry, that opens up into the family room with stone fireplace to the soaring ceiling!" 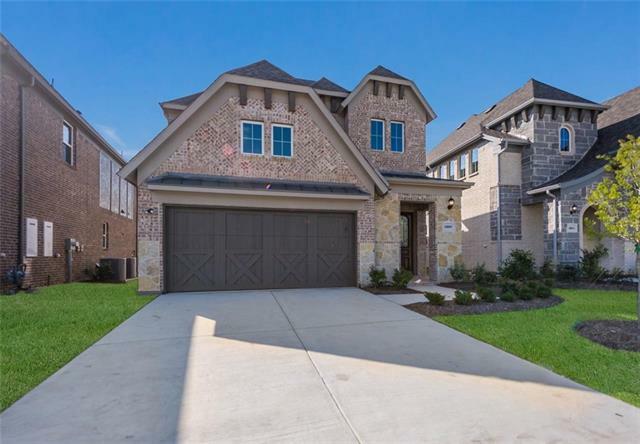 "Come & see this exquisite, previous model home in the sought-after Devonshire community! 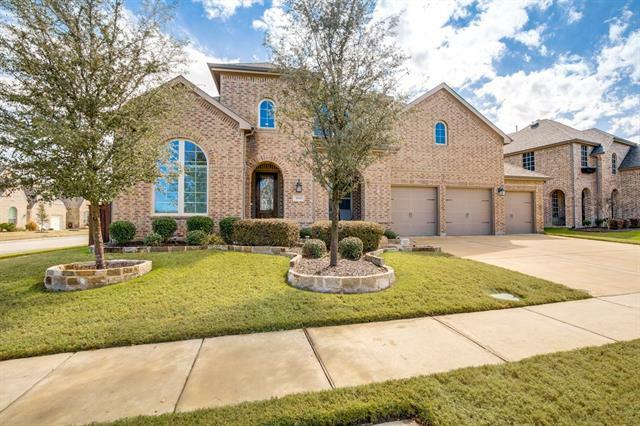 The open floor plan with vaulted ceilings is perfect for both entertaining & family time. Stunning granite counter tops, large island, wood flooring & stainless steel appliances adorn the chef style kitchen. Enjoy the generous master suite that includes a walk-in closet with additional hidden storage, luxurious soaking tub and dual vanities. A mother-in-law suite, custom built-ins & premium carpet are just a"
"Gated property with a total living area of approx 7200+sf. 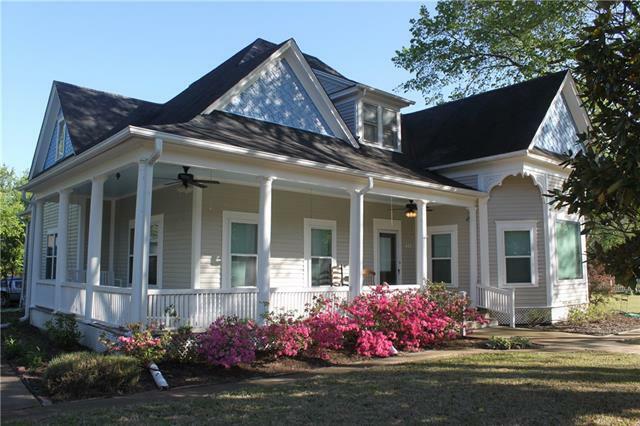 Main house is approx 3600+sq ft. Home has stainless steel appliances and crown molding. Family room has a wet bar. Large laundry room. Home has approx 4010sf that needs to be finished. This consists of a mother-in law suite, a gameroom, media room, craft room, and an exercise room." "Wonderful opportunity to own an 1895 Victorian located in the historical district on Center St.! 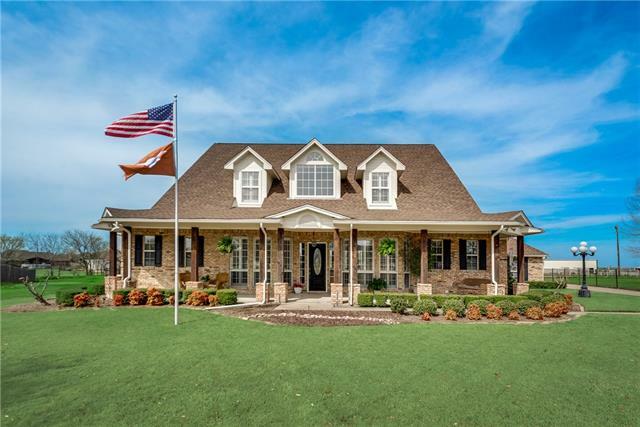 Home boasts relaxing front porch and great drive up! Welcoming entry and beautifully crafted staircase! The front living room has a fireplace and large bay window with views to the front! The spacious kitchen is open to the family room and has a breakfast bar! Three large bedrooms downstairs with hardwood flooring. 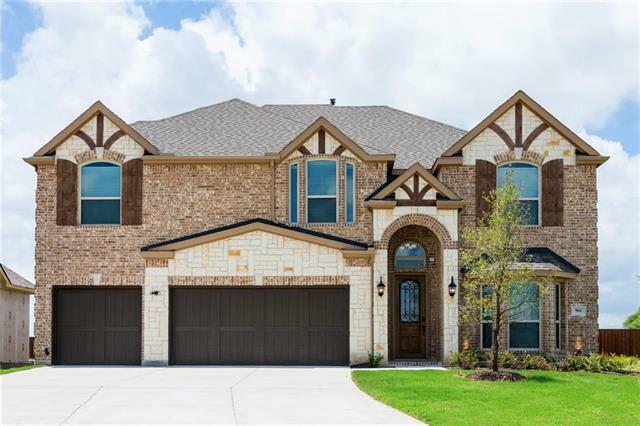 Private, split bedroom could function as in law quarters with adjacent closet an"
"MLS# 14055057 - Built by First Texas Homes - June completion! ~ 3 car garage!. Elegant stone elevation with cedar accents. Dramatic curved staircase, amazing kitchen with California style island, double ovens, butler's pantry. Family rooms has floor to ceiling stone fireplace that over out to the over sized cover patio. Media room comes pre-wired and ready for your equipment! Home has the SAVANT Experience!" 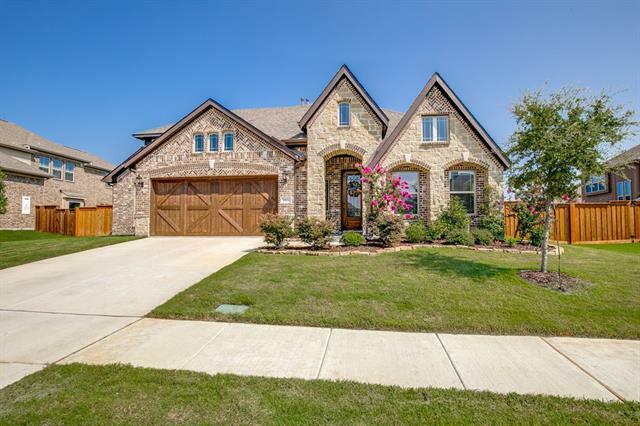 "MLS# 14055051 - Built by First Texas Homes - June completion! 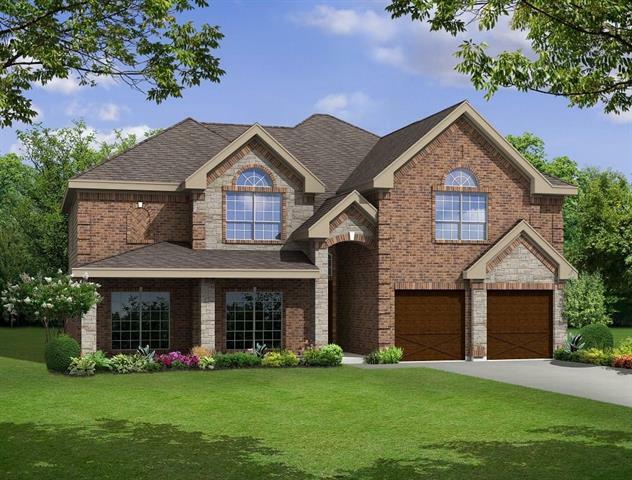 ~ Gorgeous stone elevation front, SmartSide garage doors makes this elevation pop!. Extensive wood flooring throughout, California style kitchen island with butler's pantry, double ss ovens. Media room upstairs comes pre-wired ready for your equipment and home comes with SAVANT Experience!"